AT&T Office@Hand Desktop App is an easy-to-use, comprehensive communications hub with all-inclusive phone, fax, business SMS, and conferencing. With the Google calendar integration, you may now join web meetings, conference calls and other events on your Google calendar. Seamless integration with Google Calendar; automatically syncs up the new and updated events in the app’s calendar list. Calendar day view displays multiple events with quick join actions. 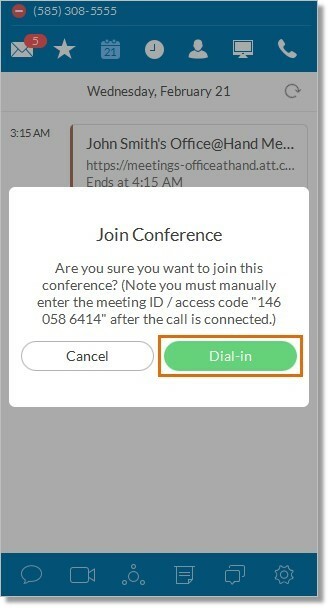 One tap/click to join a Office@Hand meeting or an audio conferences call; participant ID’s and access codes entered automatically. 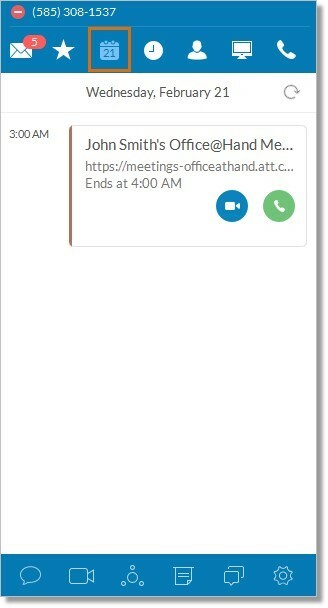 Interactive reminders with quick actions to join a call or view meetings details. Ability to configure calendar source and notifications on Office@Hand for Desktop. Log in to your AT&T Office@Hand Desktop App. Click Settings > Join Now. Note: You can also access Join Now by clicking the Join Now button on the main tab and then, click Enable. Choose either Google Calendar or Outlook from the drop-down menu. When you select Google Calendar, the Google login page will appear on a new window. Log in your Google email and click Next. Click Allow to allow Office@Hand for Desktop to access the following information from your google account. You will now see your Google Calendar is integrated with your AT&T Office@Hand Desktop app. Click on your email account to integrate and see your schedule for the day. You can also click on Birthdays and Holidays to see the holidays for the day. 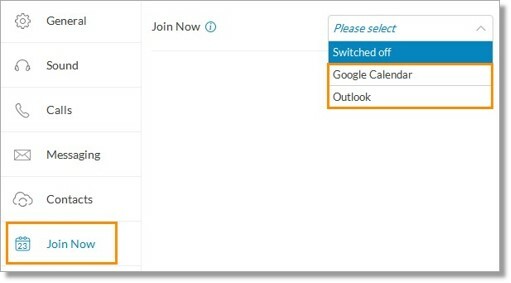 QUICK TIP: Click Switch Account to remove or change your Google Calendar. You can also click on the drop-down arrow to switch off the Join Now feature. When you select Outlook, you will immediately see your Outlook integrated with your AT&T Office@Hand Desktop app. Click on Calendar to see your schedule for the day. You can also click on Birthdays and Holidays to see the holidays for the day. Just click the Join Now button on the main tab and you will see your scheduled meetings or events for the day. Click on the Refresh icon to update your schedule for the day. Hover on the selected meeting and click Join or Dial-in to join a meeting. You can also click on the selected meeting. You will see the dial-in numbers to join. Clicking Join opens the Office@Hand Meetings for Desktop. Clicking Dial-in will open a window for you to click Dial-in again to proceed. Note: It is recommended to use (773) 231-9324 for a more reliable audio experience and HD voice quality. See List of International Dial-In Numbers for more information.